Turkey has an extremely colourful musical background that is influenced by many different cultures. Below its dull surface covered with commercial productions, the freer depths of Turkey’s musical ocean is still vibrant and exuberant with countless young groups pushing the limits of sound and rhythm. Anatolian Rock was one of the most authentic and distinctive contributors of the first global psychedelic upheaval in late 60s and early 70s - and it still echoes in the works of Turkish modern rock bands. 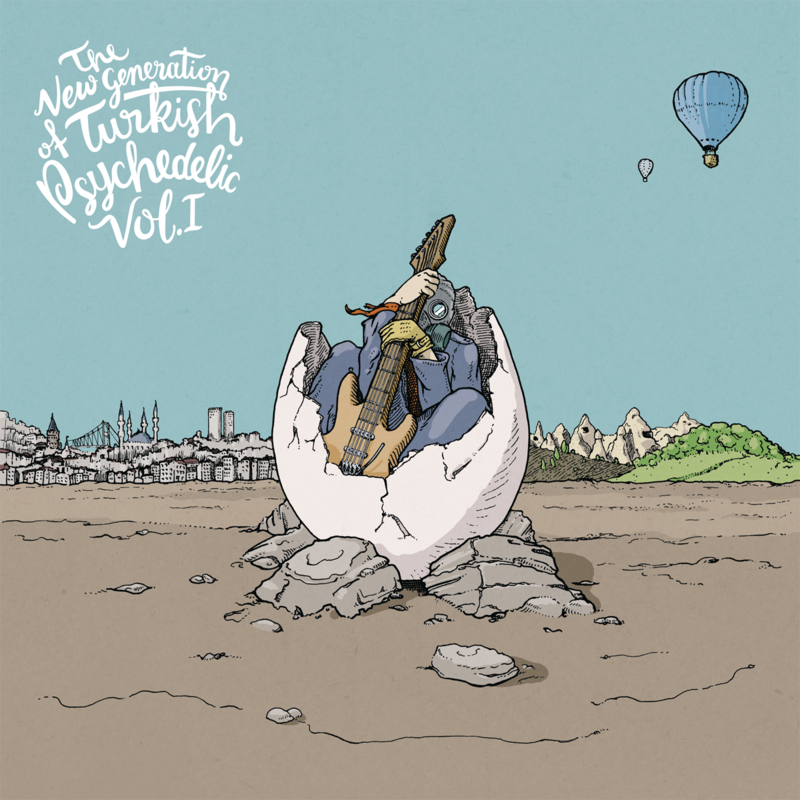 Indeed, modern Turkish psychedelia is something that is fully connected to the roots of a natively global sense of expression, which can be easily discriminated from other national products such as American Garage Bands, German Krautrock and British Psychedelia. The uniqueness of Turkish psychedelia is hidden in the historical and geographical exposure of its musical psyche. The album opens with the aggressive rhythm and raw melodic bass lines of “Profesyonel” by Yarımada, which is the only song with lyrics in the album. The second title, “Lala’s Song” by irtifakaybediyoruz! is a rage of melancholy amidst wisdom and despair. The third title, “Floodgate” by Help! The Captain Threw Up is a moody yet fluent piece that carries influences of psychedelia and post-rock. “Azim”, the punchy, clear-cut last title on A side, is performed by Balina from Izmir, which -with their own definition- is a hearty band in love with dark riffs and sorrowful psychedelic sounds. The B side opens with “Ran” by milankundura, takes us to a thought-provoking trip over a cloud of jazzy sounds. And the closing piece, Lopenstraat’s 15-minute epic “Hike”, which is a nerve-shredding adventure in a dusky forest of acoustic and electric sounds.